Here are some tips for finding different types of items. Have you lost your wedding ring, class ring or sentimental ring? Need some guidance to help increase your chances of getting it back? Losing any sentimental item can be tough, but losing a wedding ring seems especially hard to take. It is such a symbol of the bond of marriage that the loss of it can be emotionally painful. Losing a class ring also has the same kind of feeling. For you to find your lost ring, you will want to approach it systematically. Finding your ring will require patience and a method. Try to determine where and when it was most likely lost. I know this may sound a little silly, if you knew where you lost it then it wouldn�t be lost. However, having an idea of where and when it was lost can be helpful. Act quickly. Time is not on your side. You need to get the word out quickly. Click on the Report Lost Ring link on our page and fill out a report. Include all the information along with your email address. Go to www.craigslist.com and find the closest city page to where you live. This has become a very popular place to post lost and found advertisements. Post an item lost ad on Craig�s List. Give enough detail that a finder would know it was your ring. If you know you lost it in a fairly small area, or a few locations (ie: it is either at the grocery store or the gym) post a flyer at those locations. Place an ad in the local newspaper where you lost it. Check all the silly places. Look in the cuff of your pants, down the couch, on the bathroom sink, under your car seat and any other place it could have dropped. Keys! Have you lost your keys? Do you need guidance on how to effectively look for them; or, resources on what to do if they can't be recovered? 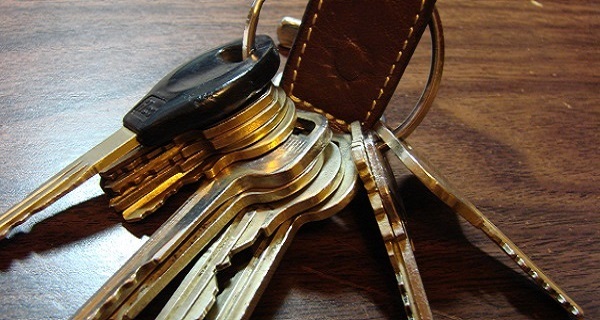 Keys lend a physical representation of security in our lives and it is stressful and unnerving when they go missing. Below is a list of things you can do to recover your lost keys. Relax. You won't be good at retracing your steps if you are a bundle of nerves and anxiety. Tidy up your car, home and workspace. Oftentimes, lost objects are found within two feet of where they should be. Double check all pockets, pushes, briefcases and bags you would have handled during the time you may have lost it. click on the Report Lost Keys link on our page and fill out a report. Include all the information along with your email. If your keys were lost with your ID and/or wallet, consider calling the police and changing you locks right away. If these items could have been stolen, the thief would now have your address and means to get into your home. some links for locksmiths: Find a locksmith at the aola site. or look for a locksmith at the Society of Professional Locksmiths site. Need some guidance to help recover it? Phones hold a lot of personal information, data, photos, and sentiment. Losing your smartphone can sometimes feel like you've lost a part of yourself. Below is a list of things you can do to recover your phone: smart or not. If your phone is turned on, it may be as simple as calling it. Hopefully if someone found it they will pick up and you can arrange to get it back. If no one picks up, trying sending a text message with contact info for reaching you (email would be best) and a possible reward for returning it. If the phone was stolen, a reward may entice the thief to return it rather than sell it to a third party. Click on the Report Lost Phone link on our page and fill out a report. Include all information along with your email address. Retrace your steps. Make sure to check your home, furniture it could have slipped underneath, jackets, bags, and your car (especially underneath the seat). Smartphones can usually be tracked through your provider. For Android phones, you can use the Android Device Manager, which is linked to your Google account. This will allow you to track your phone's GPS as well as change your password remotely or delete all your data. This app does take a little setup so if you don't have it on your lost phone, don't worry, your provider should still be able to help you. 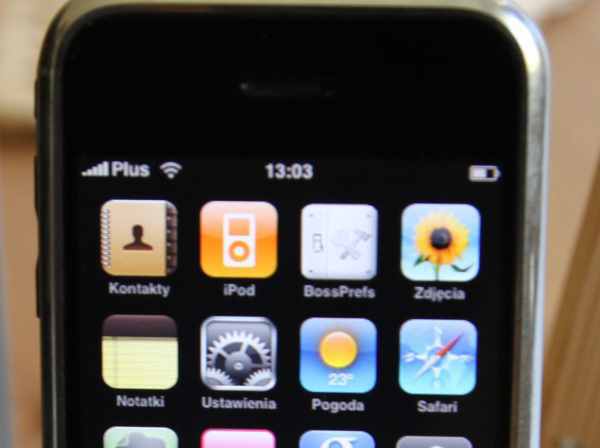 For iPhones, if its an ios5 or higher, the app Find my IPhone is automatically installed. This app works with iCloud which you can sign into on any other Apple device to trace or control your phone remotely. If your phone is offline or not a smartphone, your best bet is placing ads and contacting your service provider. Have you lost your wallet and/or purse? Do you need some guidance on how to locate it or protect yourself in the event that it can't be recovered? We carry a lot of personal information in our wallets and it can be extremely stressful and disturbing to think of this information in someone else's hands. Below is a list of tips to help you find your wallet or purse and what to do if they can't be recovered. Try to calmly retrace your steps mentally. Make a note of where you could have lost it, call businesses where it could have been left. 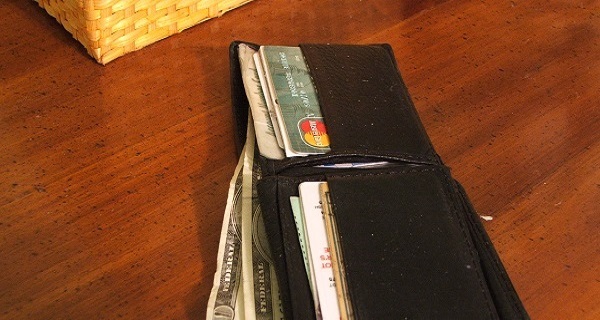 Click on the Report Lost Wallet/Purse link on our page and fill out a report. Include all the information along with your email address. Make a list of everything that was in your missing wallet or purse, including discount cards to grocery stores, library cards, all forms of id, anything that could be linked to your personal information. Physically retrace yours steps, perhaps someone posted a flyer or left it at a business nearby. Consider looking in dumpsters and trash cans near where you may have lost it. Someone may have come across it, emptied it out and tossed it nearby. Call your bank and credit card providers and suspend your accounts. Going without cards for a few days is way less of a hassle than disputing fraudulent charges later. Don't forget to cancel discount cards and library cards. These have ties to your personal info and anything that happens tied to those cards you are inevitably liable for (i.e. books checked out, bad checks written or cashed, etc.). Helpful Links: Reporting a lost credit card, major banks. Lost a ring? Engagement, Wedding, Class or Sentimental ring? Thinking about trying to use a metal detector to find it? I lost my gold wedding ring and rented a metal detector to help me find it (for the full story click here). A couple of months later, after hearing the story of my success finding the ring, my uncle asked me to come over and look for his wedding ring. It had been lost 10 or so years ago during the construction of a small retaining wall under a deck at his home. After my initial 4 day ordeal looking for my own wedding ring I was a little apprehensive about the prospect of finding his wedding band, but at least it wasn�t under water like mine had been, plus he had a pretty good idea of where it should be. So, he rented a metal detector, coincidentally the same one I had used to find mine, and on a nice Sunday morning I went over to start digging. We broke out the shovels, a wheel barrow, a bucket and coffee. He showed me the area, about 20 square feet, and we considered that it could be at a depth of up to a foot or two near the front. I took off my own ring and placed it on the ground to get a feel for what a good strong hit should sound like on the metal detector's speaker and then I started working the area. In less than 5 minutes I got a good strong hit and sure enough, there was his ring! We spent more time pulling out the tools than we actually spent looking for the ring. After 10 years in the dirt his ring was back on his finger and I was now 2 for 2 finding lost wedding rings. You need one good metal detector. Nothing super-fancy, but it should have the discriminator settings to set for rings and not coins. Set for rings, using that setting it will much more sensitive to heavier metals like gold, platinum, silver etc... They are often available for rental at coin/detector shops. Call a few in your area. I was told nobody rented metal detectors twice in my area before finding a shop that specialized in it. The one I rented was a White's brand and it worked very well. A good plastic trowel (small shovel). Plastic ones are better for this job since they won�t interfere with the metal detector. A decent plastic bucket, without a metal handle. Again, no metal to interfere with the detector. A gold ring and a few coins. - I know this may sound silly, but when you read my techniques section it will make more sense. Shoes WITHOUT steel toes or steel shanks. 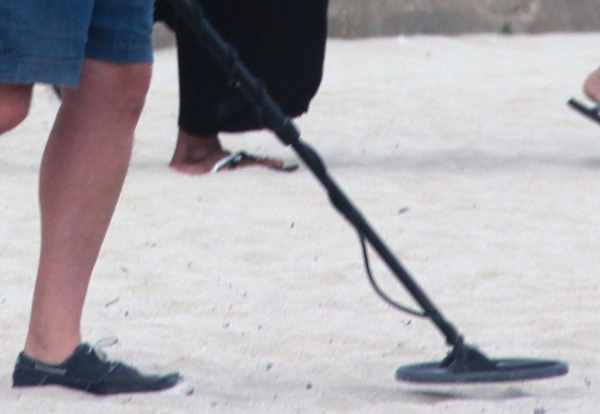 If you wear steel toed work shoes or boots, they will interfere with the metal detector. If this is your first time using a metal detector, ask for some assistance from the shop where you rent or buy it and/or read the manual. If you are looking for a ring, make sure that you set the �discriminator� to the �ring� setting. This will help you avoid getting lots of false signals from small bits of metal like old gum wrappers. Find a nice little practice area where you can move the detector around without getting a bunch of beeps. This may mean clearing some stuff away, or you may get lucky and find a clear spot right away. Just give yourself a few square feet that you can pass the detector over without finding anything. Train your ear. Take a gold ring or band and place it on the ground, then place a penny on the ground about 3 feet away from the ring. Pass the detector over both of them and listen to the difference in the beep. If the detector is properly set, you should hear a much stronger beep from the ring than you do from the penny. Do this for awhile. You really want to get a good feeling for the difference between a solid �hit� and just a small beep. Once you start actually searching, work in an orderly pattern. Pick out the area you want to search and work in a methodical way. There are many different patterns you could use. One method that seemed to work for me was to do the border first, all the way around and then work left to right, front to back. However, the exact pattern isn�t as important as the fact that you use one. You need to know that when you�ve covered an area you have really covered it. If you hit a beep and you feel it�s worth digging, move the detector around side to side and front to back until you have a pretty good idea exactly where the target is. Digital detectors (which I haven�t used) will have a little indicator screen that will help you narrow in on it. Once you�ve decided to dig, use your plastic trowel and bring up a small area. Put the dirt and grass into your bucket and then check the area again. This will help make sure that you got the item. Don�t start sifting through the bucket until you�re sure you have gotten the target out of the ground. After you are sure that the target is out of the ground, use the detector on the bucket and see if the target shows up in there. If it does, then you know you got it and something is in there. Search the bucket until you find it and the bucket reads clean (no beeps) from the detector. If it wasn�t what you were looking for, get it out of the way. Don�t just throw that little piece of foil or penny back into your search area (I learned this the hard way when I spent 5 minutes to find the target I had just spent 5 minutes to find and then tossed in my search area). After you have dealt with each individual target, you must put the dirt and sod back! Don�t leave the park or yard looking like a mine field! It is up to you not to destroy or deface property. Keep working the search area until you have covered the entire area. From time to time, set your test ring and a penny on the ground and re-tune your ear to hear the difference. If you aren�t successful, can�t find a rental shop, or just don�t want to deal with it, there are people who do this as a side job / hobby. Expect to pay $50 to $100 to have someone search for a couple of hours. They are skilled at this and may have a better chance of finding the object that a novice. But read my story and you will see what dedication can do. 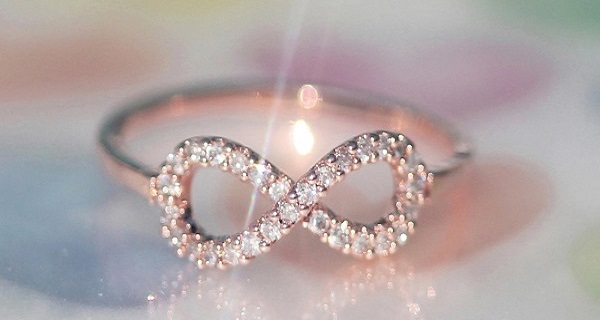 Once you find your item, consider registering it with us at LostMyRing.Com so that if it is lost in the future, your chances of getting it back will be greater!